Many of these Hindu, Buddhist or Jain images were once installed in temple or household shrines as objects of daily devotion and meditation. They convey the serenity, compassion and supreme power or insight of deities and enlightened beings. Images like these remain in worship today throughout India, as well as in the Himalayan region and Southeast Asia, whose cultures were transformed by the spread of Buddhism and Hinduism. From AD 600 the form of the temple was developing, within India and beyond, into a symbolic microcosm of the universe. Towers and outer walls teem with carved imagery of gods, men, animals and plants. 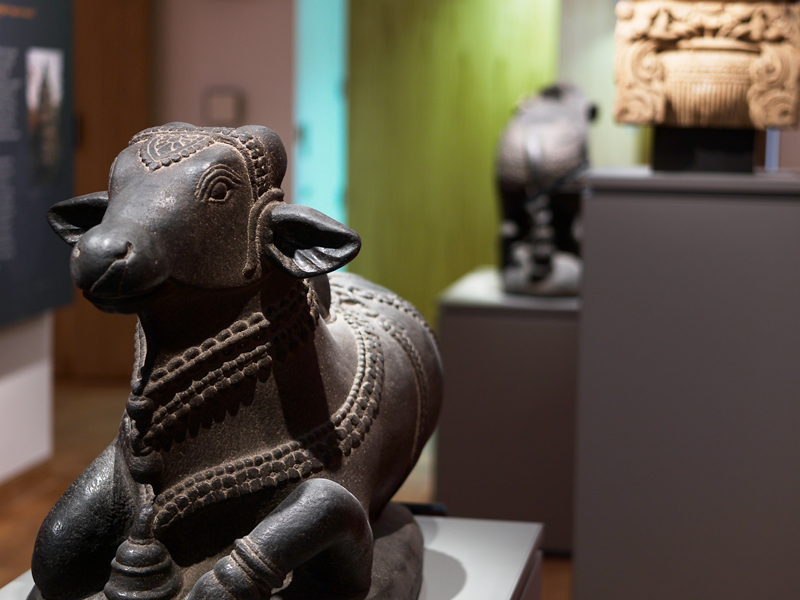 Distinctive regional styles of sculpture soon developed throughout the subcontinent. As in earlier times, professional sculptors often worked for patrons of different faiths, so that Hindu, Buddhist or Jain images may share a similar regional style. 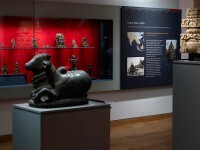 India gallery showing Nandi the Bull statue. 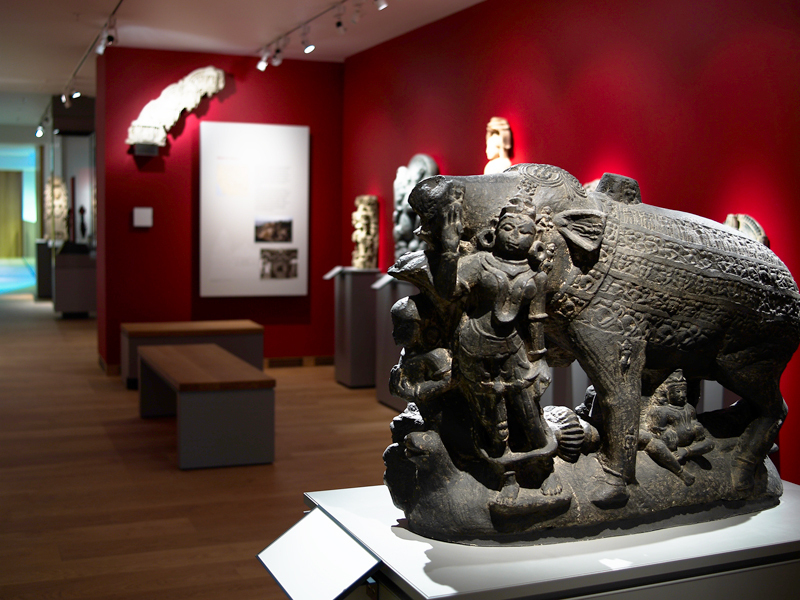 India gallery showing freestanding sculptures.